The fonts you use in your artwork are as much a part of your design as the colors you have chosen for your custom stickers or labels. Since there are so many fonts to choose from, when getting any of your designs custom printed, it is best to send your font files along with your artwork. This way a printer doesn’t have to make any guesses with the fonts you have chosen. Also, it is easy, and quick, to get your art files to any printer with just a few simple steps. Let’s take a look at how to find, and send your font files with your artwork. Do You Have a Mac? These steps are for you. 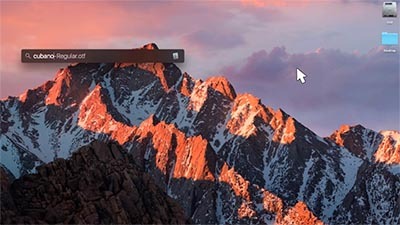 Step 1 - Find your computer’s desktop and while there, press your command and spacebar at the same time to bring up your Spotlight Search function for your computer. Step 2 - Type in the name of the font file you are looking for, such as “Oswald”. You will know it is a font file by the extension “.ttf” which stands for “True Type Font”, or “.otf” for “OpenType Font”. 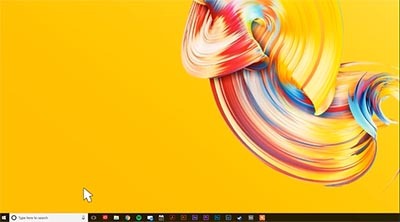 Step 3 - Once you found your font file, simply drag it to your desktop. Now you can open your email in any application, and drag your newly found font file into your email to send it along as an attachment. Do you have a PC? These will be the steps for you. Step 1 - Find your search prompt in the bottom left hand corner of your desktop, and find the Control Panel at the top of this menu. Step 2 - In the Control Panel, navigate to “Appearance and Personalization” and scroll down until you find a folder called “Fonts”. Step 3 - Open your Fonts folder, and scroll down to find the font you are looking for. You can drag your font file into your email directly from your Fonts folder, or you can drag your newly found file to your desktop to find it easily later on. Font files are a lot like other files on your computer, and once you know where they are, with a quick drag and drop, they can be sent as an attachment with any email. You can also create a special folder on your desktop, or in your documents so they are easy to find the next time you are sending your art files anywhere you want the fonts to be with them. Now you’re all set to send font files to everyone!